Dr. Tullis advised, "Jaquie, don't let anyone talk you into any kind of treatment for this. They can't help you. I can't help you. I would have to carve you to pieces and even then we could not stop this. But, I will say this, whatever you are doing, it's right. Don't stop!" Jaquie Davison, Melanoma CANCER SURVIVOR, lived cancer-free over 37 years after starting her modified Gerson cancer therapy. Her story is one of inspiration and hope and the book details exactly how she merged the Gerson cancer therapy with other alternative therapies to purge herself of Melanoma. 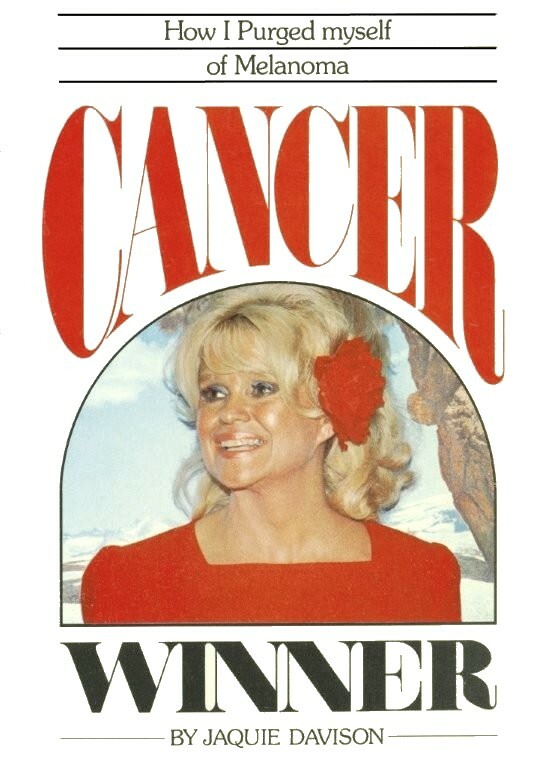 New 2009 edition of her book, Cancer Winner, with added details, updates, photos, and new Personal Journal is available in easy-to-read spiral binding and in e-book format now.